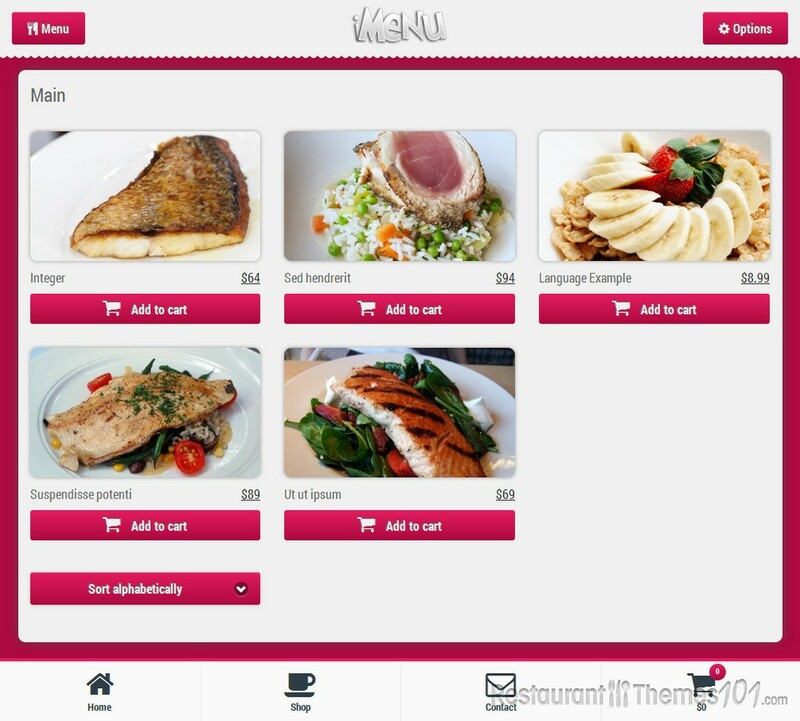 If you are running any sort of a restaurant and you are tired of paper menus, there might be a solution for you. 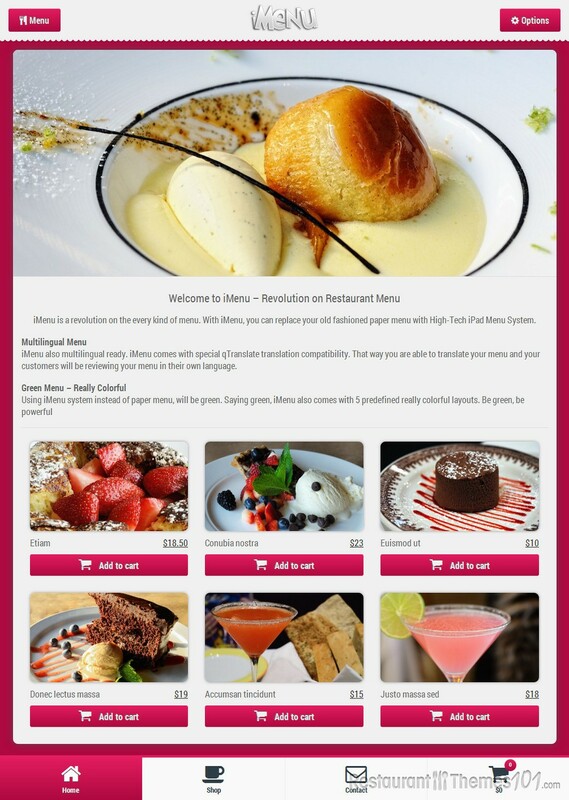 If you want to replace your paper menu with iPad devices (or any other tablet version), iMenu is the restaurant template for WordPress you need. iMenu is featured on ThemeForest and it was created by XanderRock. 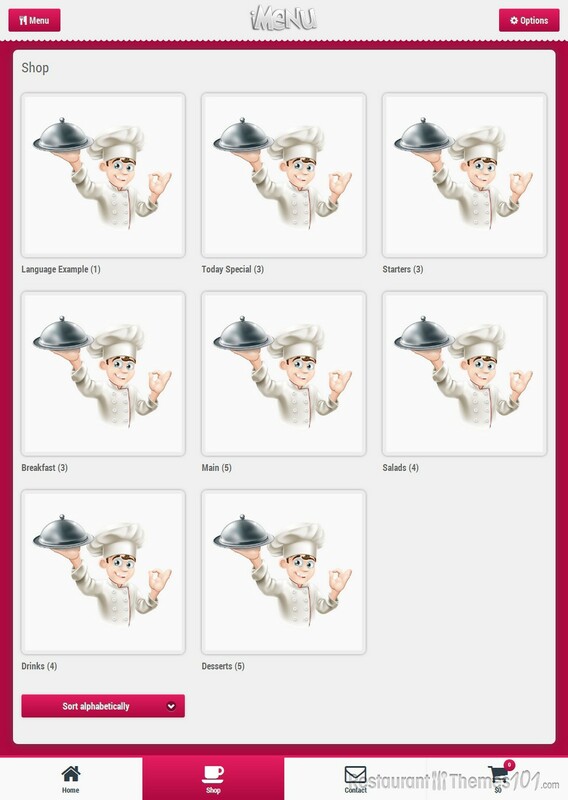 This is a unique menu system your visitors are going to love! iMenu is a responsive WordPress restaurant menu theme that will allow you to replace your old fashioned menus with brand new, high tech ones and your visitors are going to be amazed by how simple it is to check out the whole menu and order without having to wait for a waiter to come and take your order, and also without huge menus laying all over the table. Your customers will be able to review your menu on your own tablet device you’ve decided to place as a menu, or they can use their own smartphones to enter your menu and order using a great system with QR codes. 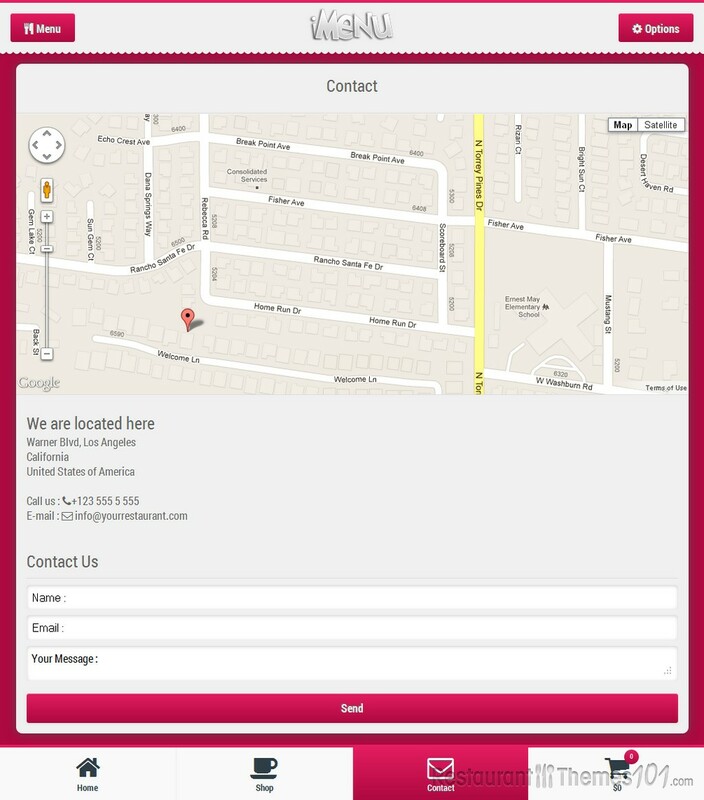 Simply add a predefined username and password for your menu system and add all the info to your tables with a QR code. It will be easy for your customers to login with their smartphones and place their orders from their own devices. The menu system is retina ready with great looking panels on the sides, right and left. A quick menu with categories is included so your customers can browse through your categories and find what they are looking for in no time. iMenu is multilingual and switching the languages will be very easy for your customers. In fact, they will be able to choose their own language and order in their own language, and they will even be able to review your place in their language. Reviewing the product will be fun and easy. With the quick menu panel you will be able to make a quick search in categories and when you start typing, the system will show the product. All you need to do now is add it to your cart and checkout. Social network integration is nicely done too, so you can share it on social networks very quickly and easily.